The Yemeni army forces have been playing a significant role in defending the country against the Saudi-led coalition , backed by the US, since the onset of the war by the coalition. Their missile force on Tuesday published pictures showing the first experiment of the ballistic missile Badr-F with a blast-fragmentation warhead, which was unveiled earlier on Tuesday . 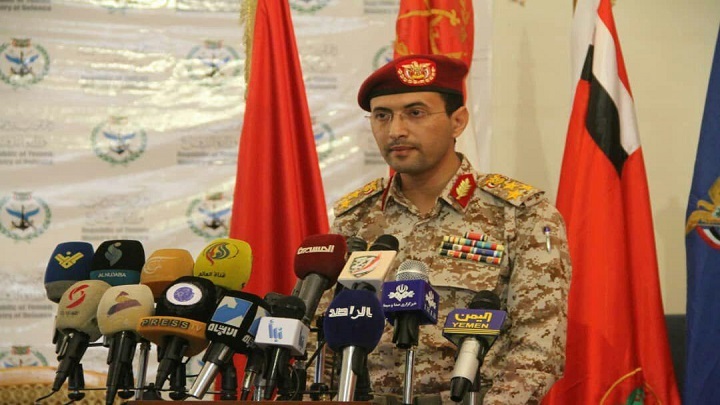 Brigadier Sare’e had reviewed in his press conference field trials of the field ballistic missile, Badr F, including the targeting of gatherings of the coalition’s paid fighters in the border fronts and internal fronts, which showed the great potential of the new Yemeni missile. The Brigadier confirmed that Yemen has a strategic Stockpile of missiles, and that new targets have been listed within the objectives of the Yemeni army forces. He pointed out that when we talk about a Yemeni Ballistic Missile manufacturing, we are talking about different systems of rockets owned by the army. Yemen will reveal more about them during the coming days.